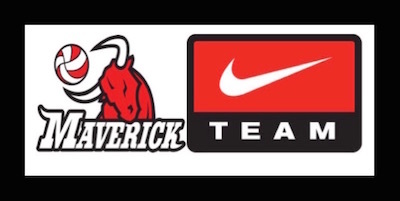 Maverick athletes will be outfitted with Nike jerseys, shorts/spandex, kneepads and socks as well they will have the option to purchase Nike shoes, track suits, backpacks and duffle bags. More information will be provided later this summer so if you are thinking of buying shoes for next season wait, your patience will be rewarded! The process has moved to the design phase where an exciting "new look" for the club will be rolled out at try-outs in September.